A study published in Social Psychology Quarterly re-examines Stanley Milgram’s famous obedience experiments from the 1960s. Milgram’s experiment asked participants to administer electric shocks to a person who was trying to learn a task. The shocks weren’t real and the “learner” was really an actor. But despite the actors shouts of pain, many participants continued to administer what they thought were electric shocks of increasing strength. The new study examined audio recordings of 117 different participants from Milgram’s original experiment, and identified ways that both obedient and defiant participants resisted or attempted to resist the experiment’s authority figure. Participants who defied the authority figure’s demand to administer shocks commonly used two conversational techniques: invoking the Golden Rule and letting the Learner decide. Those who invoked the Golden Rule felt empathy for the man being shocked and remarked that if they were in his position, they would want the experiment to stop. Other defiant participants turned to the man being shocked — rather than the authority figure — as the person who should decide whether the experiment should continue. Defiant and obedient participants both invoked self-oriented reasons to stop the experiment, such as claiming that continuing to administer shocks would put them at risk of legal action. Hollander: My interest in the Milgram experiment stems from my dissertation in sociology at the University of Wisconsin-Madison. I started to read more about Milgram, and realized that although most of the audio recordings of his experiments were archived at Yale University few researchers had made a large scale study of them. After successfully applying for a grant from the National Science Foundation, I was able to purchase copies of 117 of these recordings and use them to study the details of language and social interaction in Milgram’s experiments on obedience to authority. The general public remembers Milgram as demonstrating that ordinary people are likely to succumb to situational pressures in which authorities command them to do things that they believe are wrong. Milgram saw himself as demonstrating that, by controlled changes to situations, he could raise and lower rates of obedience; these variables include physical and psychological proximity (closeness) of the person receiving the pain/harm, location of person receiving orders in a chain of command, and gender of person receiving orders. In general, I’d like the non-specialist to take from my study the message that many of Milgram’s participants successfully resisted the authority figure, and that the particular practices they use (e.g., Golden Rule accounts, Letting the Learner Decide, etc) may prove powerful in a wide range of non-Milgram situations of toxic authority-subordinate relationships. There is currently a renaissance of interest in Milgram among social psychologists, historians, and others. We are realizing that we still lack adequate theorizing for understanding Milgram’s findings, and for understanding their relationship to real-world situations of malevolent authority-subordinate relationships, such as the Holocaust. Among the many remaining questions, I’d like to highlight those pertaining to how the participants themselves tried to justify their own obedience (and disobedience). 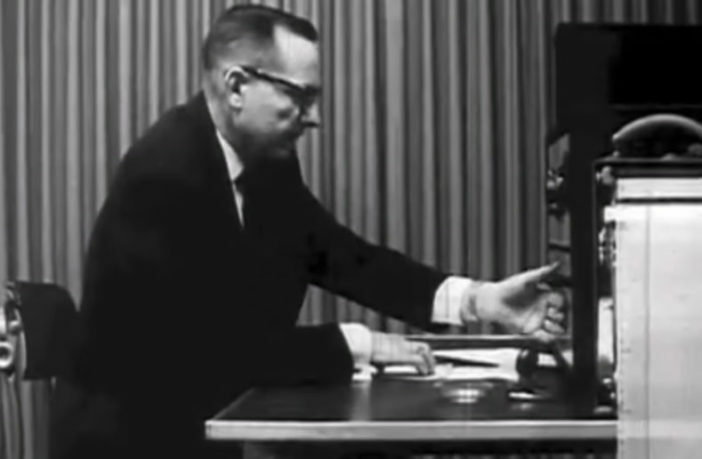 These justifications appear in the immediately post-experimental interviews, which also appear on Milgram’s audio recordings in the Yale archive. I’m currently working on a paper that argues that studying these justifications is essential for any adequate theory of Milgramesque behavior. I’m excited to be researching Milgram’s experiments, perhaps the most (in)famous and influential in all of 20th century social psychology. I’m gratified that there is significant public interest in Milgram and in the work of researchers such as myself. In addition to Hollander, the study “Do Unto Others… ? Methodological Advance and Self- Versus Other-Attentive Resistance in Milgram’s ‘Obedience’ Experiments” was co-authored by Douglas W. Maynard.